The short videos we have produced for this site have been very popular, and readers have requested more (and better) video offerings. Thanks to Adorama, a large camera and optics retailer, we will be getting a new Canon FS10 video camera. With the new Canon we will be able to shoot higher resolution videos, with better colors, and much improved audio quality. The Canon FS10 is part of Canon’s new line-up of Flash-memory video cameras. There are no tapes to fuss with, and you don’t have to worry about internal hard drives or DVD systems. The new Canons record to Flash memory cards so there are no moving parts. This has numerous benefits. Flash-based cameras are less sensitive to shock and vibration and the camera can start recording almost instantly. Importantly, with Flash memory, batteries last much longer since there are no electric motors to run. 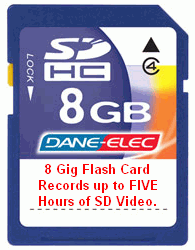 And the FS10 can record up to 5 hours of video on an 8 Gig SDHC memory card. 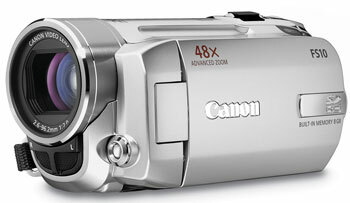 After looking at a wide variety of camcorders, we chose the Canon FS10 because it has a number of important features. First, of course, is the Flash memory. Second it has a “microphone in” jack. Using an external microphone will help us reduce background noise when filming interviews or shooting sessions at the range. Third, the camera offers internal image stabilization, and a built-in movie light. Both those features will produce better quality in low light situations. Adorama.com sells the Canon FS10 (item CAFS10) for $419.95, with FREE shipping. The model FS10 records in standard definition both 4:3 and 16:9 (wide) aspect ratios. We considered Canon’s new High Definition camcorders but these cost twice as much and the AVCHD video files they produce are not yet compatible with most video editing software. Also true High Definition video files are “overkill” for the web — they need to be highly compressed for web use. However, if you’re looking to playback your videos on a High Definition television then Canon’s HD option makes sense. 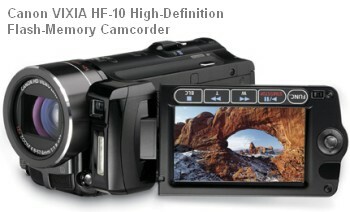 We recommend the Canon VIXIA HF10 for those who want High Definition output. It’s available for $819.95 at Adorama.com. Adorama has provided a Canon FS10 to AccurateShooter.com in return for promotional considerations. 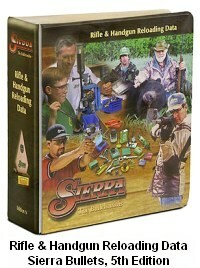 Share the post "Lights, Action, Camera — Thanks to Adorama"
Sierra Bullets offers a vast, FREE online library, derived from the 4th and 5th Editions of The Sierra Loading Manual. On Sierra’s ExteriorBallistics.com website, you’ll fine dozens of technical articles, plus useful reference charts for powder burn rates, bullet BCs, and measurement conversions. There’s even a comprehensive Glossary of Shooting Terminology. Overall, ExteriorBallistics.com offers hundreds of pages of great, FREE information. Share the post "Sierra Ballistic Articles and Glossary Available FREE Online"